My Xmas present to myself was a one-week ukulele making class at a local community college. I can now confirm that my expectation that this would be crazy fun was correct. There were only seven of us on the course (average age mid forties, average gender 87% bloke). The teacher was fantastic, and I spent a week playing with a mix of power tools and hand tools, carving, filing, drilling, sawing and all the rest. By the end I had created a unique musical instrument that I can play, as well as I can play any ukulele. My admiration for the hard working people who made the instruments I already own has increased exponentially. And if you’re in Wellington, I recommend you sign up for the next one Dave is running, in July. 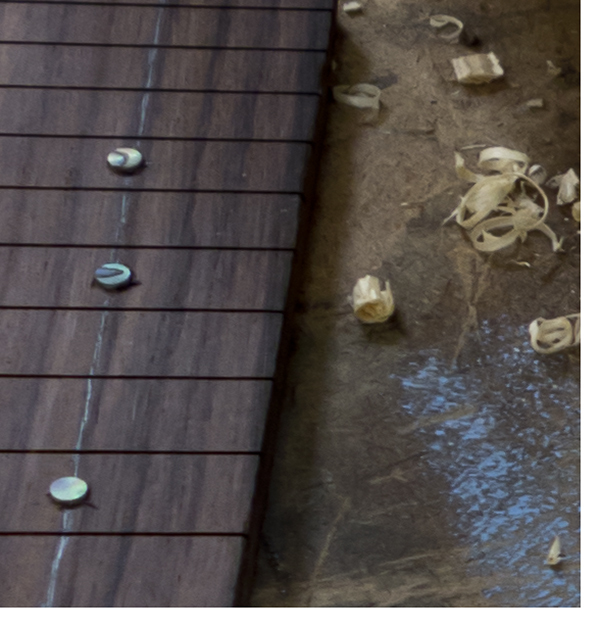 Filing the neck to shape: hard work! This entry was posted in sculpture, ukulele and tagged uke, ukulele, woodwork, workshop. Bookmark the permalink. ← It’s called a Cylicorn for a perfectly sensible reason people!